Caption slip reads: "Photographer: Mercurio. Date: 1952-03-23. Reporter: Contacts-to-Stingle. Assignment: La Verne College Chapel Choir. 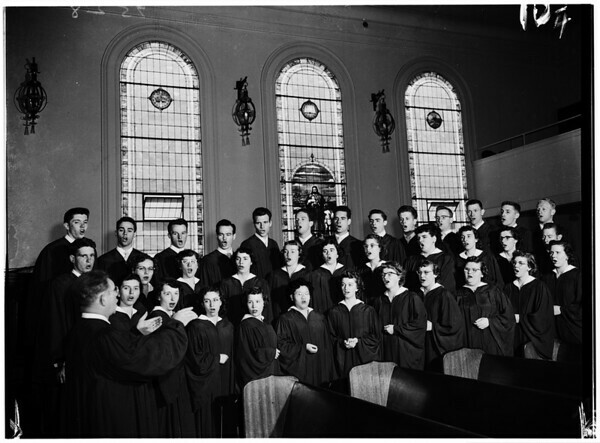 7-8: La Verne College Chapel choir who appeared at the Calvary Church of the Brethren, 52nd & Denker, Los Angeles. The Choir will tour Northern California, Oregon and Washington during Easter time (from April 5th to 19th).